Tomski.com - Tom Loosemore's personal blog | Infrequent whimsy. Views here are mine and mine alone. 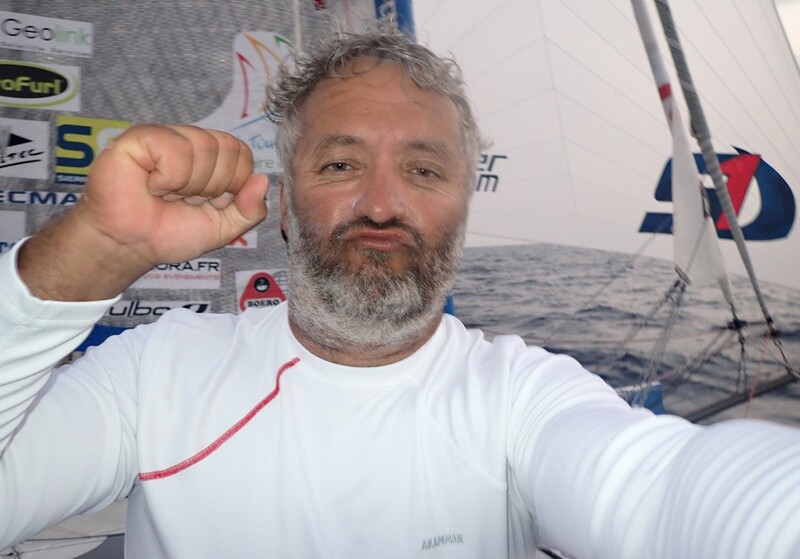 Sometime tomorrow morning Yvan Bourgnon will sail into Ouistreham Riva-Bella after a 30,000 mile / 220 day circumnavigation in a 6m open catamaran. That’s “open” as in “has no shelter”. 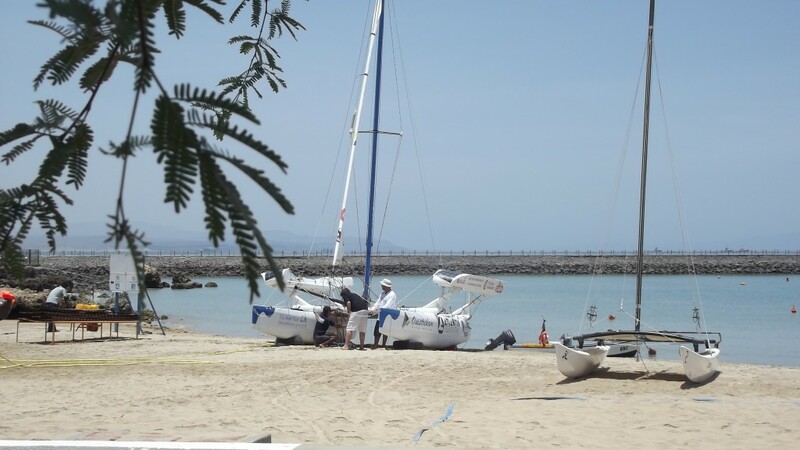 It’s like a big Hobie beach catamaran. 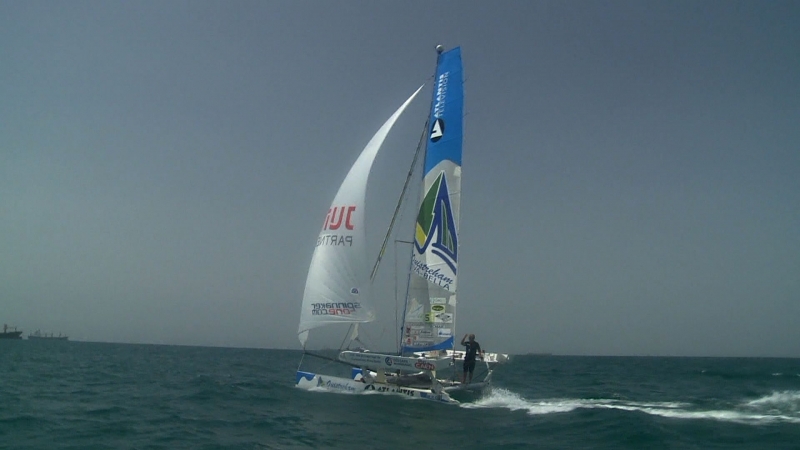 Here’s a video he took as he crossed the Pacific. Yves, you crazy. I salute you. 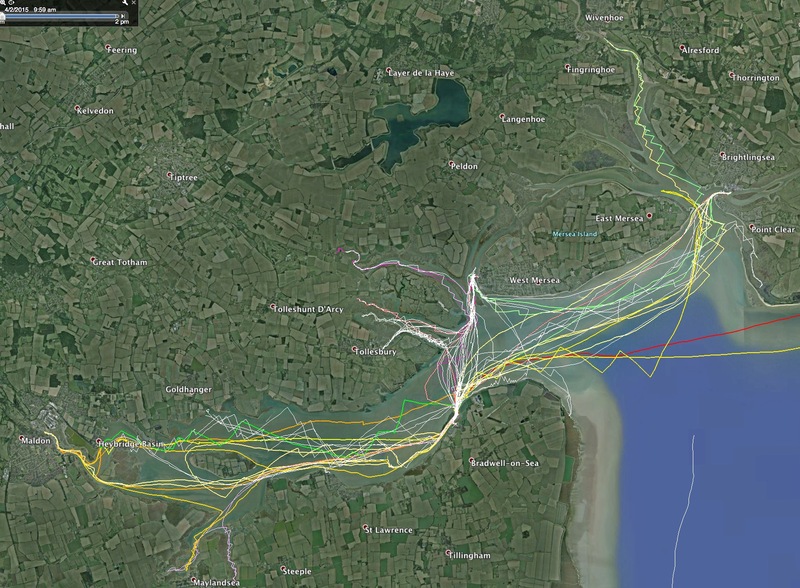 I enjoy cruising my sailing dinghy around the rivers and coastline of Essex and Suffolk, and have recently discovered a feature in Google Earth which makes planning trips that little bit easier. Moving the slider lets you change the date of satellite images. 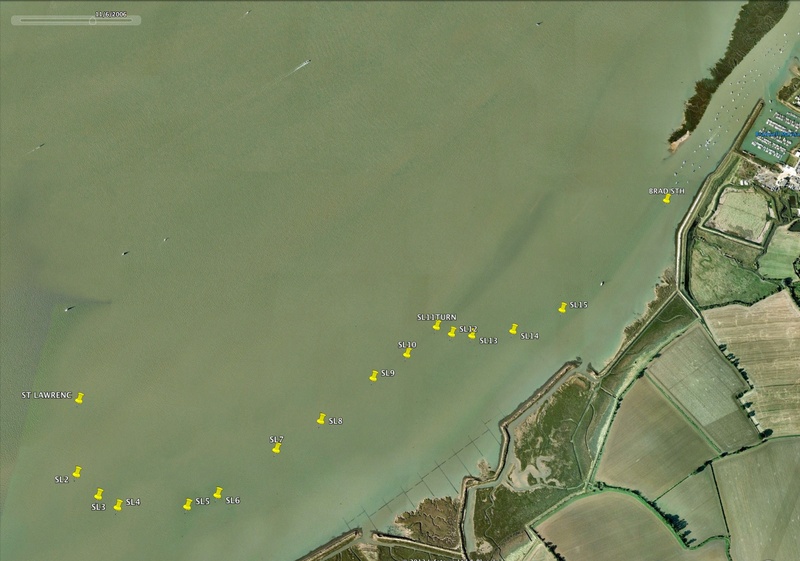 Somewhat wonderfully for sailors on the River Blackwater, and seemingly also for most of Essex and Suffolk, a couple of the recent series of images seem to have been taken at spring tides, both high and low. For shallow draught dinghy cruisers, happy to dice with a mudbank or two, this lets you now plan new routes thanks to the offer of accuracy with which a nautical chart can’t compete. 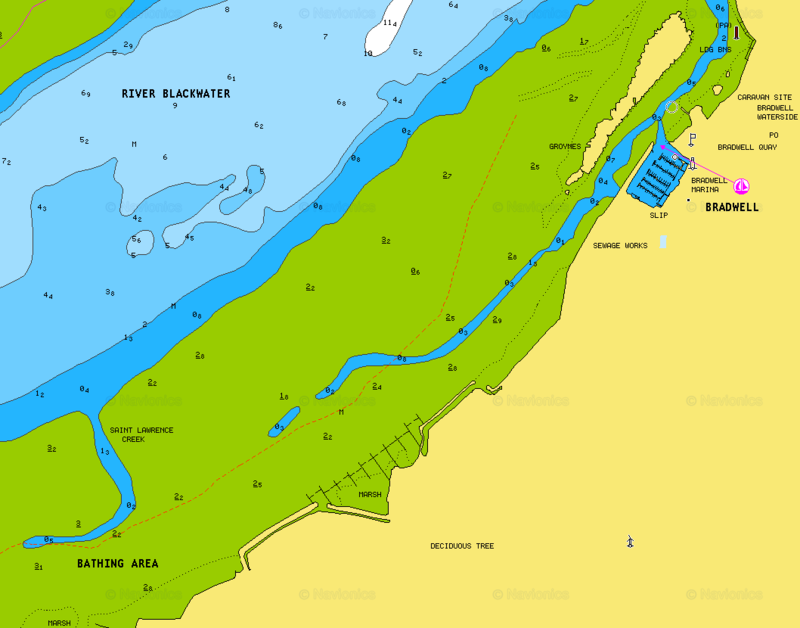 For example, to the south west of Bradwell Waterside, on the River Blackwater in Essex, there is a large mudflat, through which flows a narrow and winding channel known as St Lawrence Creek. 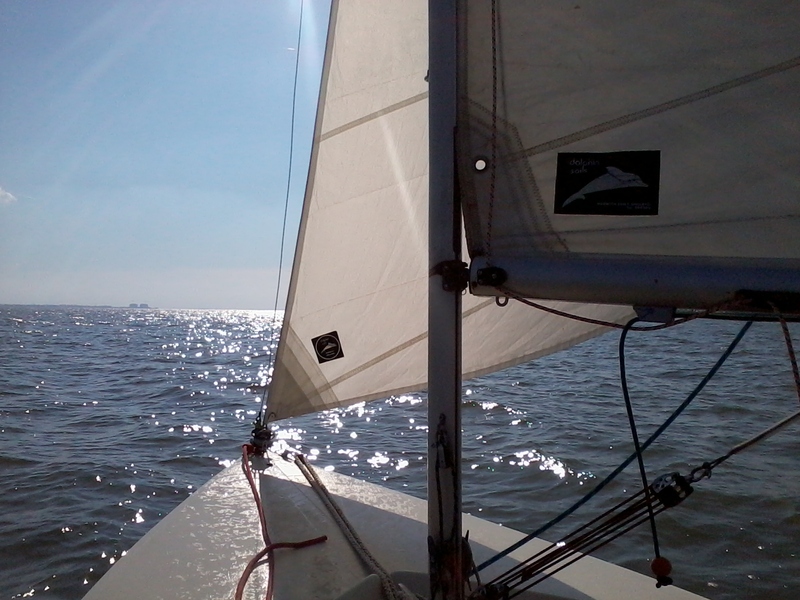 At anything other than high or low tide, this route is a bit iffy, since it’s hard to know when you’re in the channel when the whole mudflat covers with water, albeit not to a depth to let you sail safely. This is a shame, as it’s a nice shortcut home to my base at Bradwell Waterside, where I keep my 14 foot Wanderer sailing dinghy. 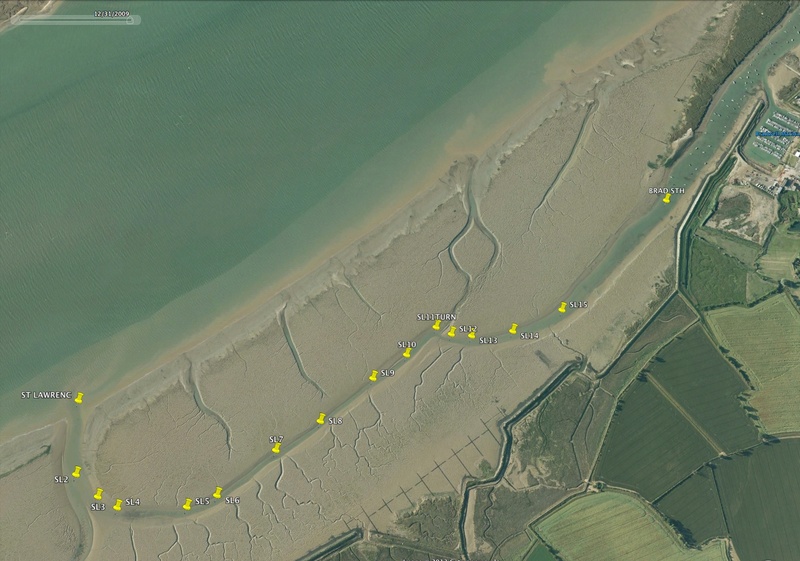 Now, here’s the same area at spring low tide from Google Earth, complete with a series of waypoints which I then use on my GPS to let me follow the channel whatever the state of the tide. Following this route carefully means I don’t have to worry about my rudder hitting the bottom were I to stray onto barely-covered mudbanks at mid-tide. To be fair, there’s no need to follow this route at or near high tide, shown below, as there’s enough water everywhere. But at mid tide, it’s a reassurance that you won’t hit the bottom. I’ve tested the route a couple of times mid-tide, and am happy to share waypoints if anyone’s interested (YMMV, mud shifts etc).